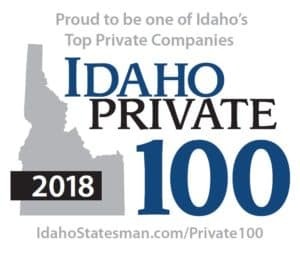 Whether you’re looking for the largest selection of new and used cars in Idaho, a family-owned and operated dealership you can trust, competitive and up front pricing with no hassle, or a qualified team of trained and certified technicians, you’ll get it all when you shop at Kendall at the Idaho Center Auto Mall . Serving drivers in Caldwell, Meridian, Mountain Home, Eagle, and throughout the greater Boise area, our new vehicle selection includes the largest volume of new Chevys, GMCs, and Kias in the state, as well as Cadillacs and Buicks. Kendall at the Idaho Center Auto Mall has clearly displayed up front pricing on all of our vehicles for a fast, fair, and hassle-free buying experience. In addition, the members of our sales team make their money based on the quality of the services they provide rather than the number of vehicles they sell, helping to ensure that your needs and desires always come first. Once it comes time to getting a loan, our finance department is here to help you out with over 25 lenders available to help you get the best rate around. Over 80 years of happily serving you! We’ve been helping drivers find the right vehicle at the right price for over 80 years. Over the years, we’ve also developed a top-notch service department with a range of factory-trained and certified technicians to help you out. Count on Kendall at the Idaho Center Auto Mall, the dealership that’s been rated a Top Auto Dealer in CSI Customer Satisfaction throughout the Pacific Northwest, for all your automotive needs. Our dealership is located in the Idaho Center Auto Mall, just 15 minutes from the heart of Boise at 15700 Idaho Center Blvd in Nampa, ID. Contact us with any questions, and stop by when you’re ready for a test drive. The Kendall at the Idaho Center Auto Mall team is eager to meet you, learn more about what you’re looking for, and help you drive off in an incredible new car!